Over the past eleven years, we’ve watched with wonder as you’ve utilized Cricut’s suite of machines, tools, software, and materials to turn your creative dreams into amazing, awe-inspiring realities. Cricut Maker,™ the ultimate smart cutting machine, featuring never-before-seen technology in the desktop maker space. It cuts more materials, incorporates more tools, and offers you more possibilities than ever before. 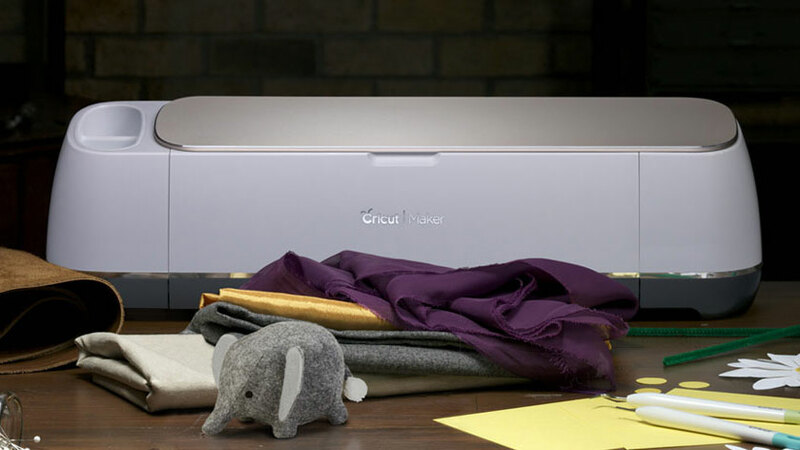 Cricut Easy Press™, a home heat press that focuses on professional iron-on results, a large heating surface, simple controls for heating on different materials, and thoughtful safety features. 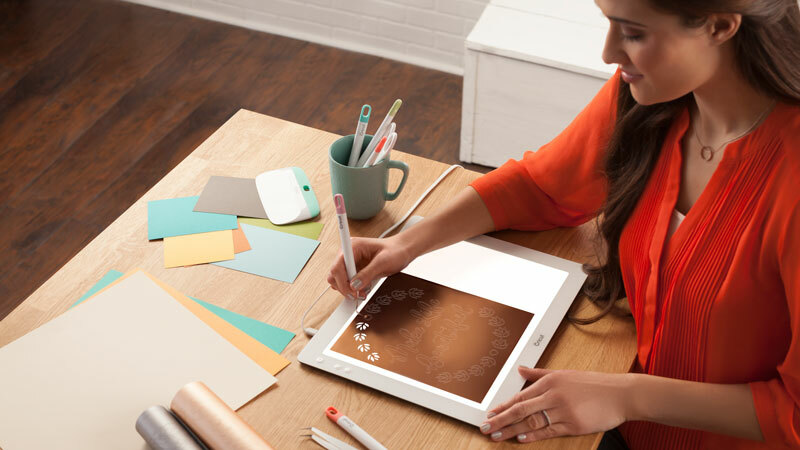 Cricut BrightPad™, offering a thin, light, and evenly bright surface to make things like weeding vinyl, artist tracing, and jewelry making easier and more enjoyable. We are so excited about all of our new products and will be sharing tutorials and information about them in the coming weeks. 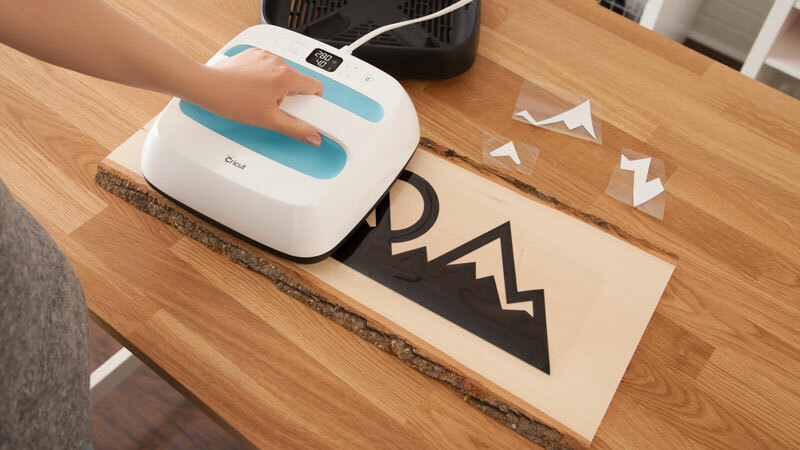 With Cricut Maker, you’ll now be able to cut hundreds of materials with precision and ease. You’ll have access to the revolutionary Adaptive Tool System™, an expandable suite of tools that grows with you as you master each new craft. 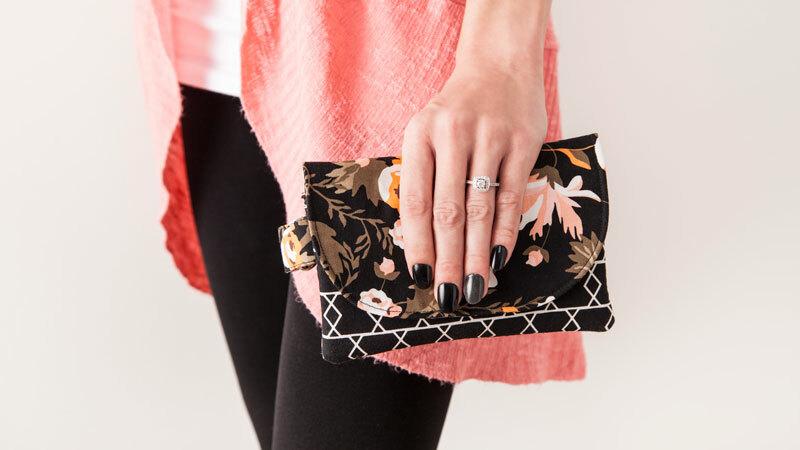 We’ve modernized the sewing process with the Cricut Rotary Blade, which enables you to quickly and accurately cut fabric directly on the Cricut mat without any backing material. Create beautiful sewing projects with any fabric of your choice, from silk to lace, and even burlap, in mere seconds, all with incredible ease. 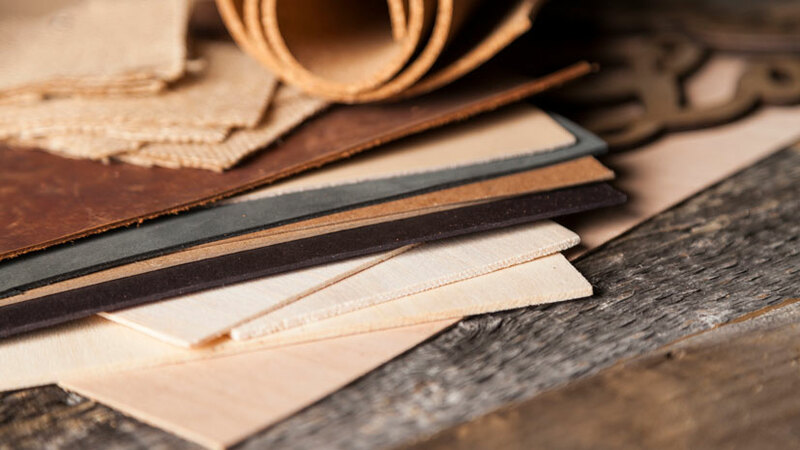 And you’ll love using our new Knife Blade, which seamlessly cuts through chipboard, balsa wood, thick leathers and more. But with more tools, we also want to bring you more project inspiration, and so we’re thrilled to now offer a digital sewing pattern library, directly in Design Space, where you can access hundreds of patterns, all available to cut instantly, from quilts to clothing, to stuffed animals and baby clothes. We partnered with Simplicity, the leader in sewing patterns for nearly a century, to offer hundreds of sewing patterns directly in Design Space. You can also find amazing modern Riley Blake Designs quilt patterns in our suite of patterns as well. Find some of your old favorites, and so many new patterns to love. The Cricut Maker builds upon the Explore Air 2 with the introduction of the new Adaptable Tool System™. With the Cricut Maker, you can use the Cricut Fine Point, Deep Cut, new Rotary and Knife Blades interchangeably to expand your creative possibilities. For more information on our new Cricut Maker and , as well as our entire family of products, visit Cricut.com. Cricut Maker will be available August 20 for $399 in popular craft retail stores and on Cricut.com. The Knife Blade will be sold separately and hit stores and Cricut.com in 2018. We simply cannot wait to see what you create with the Cricut Maker. We'd love to hear from you, in advance of Cricut Maker hitting shelves, what you hope to create first. Given the new freedom of creativity this machine allows, we just know you’re going to make something you really love. I am beyond the moon excited about the new Cricut Maker. I have been watching the launch on social media my work and family commitments did not work with the timing of the launch. I am so happy for those that got to take part. I can’t wait to get my hands on one of these. I am so excited about the fabric capabilities. I teach and demo for DIME Designs in Machine Embroidery magazine and travel all over the country presenting to machine embroidery enthusiasts in shops coast to coast. Most of them do not know about Cricut because the sewing industries in the past have adopted the Siloutte cameo and the Brother Scan n Cut also Janome haste a product. But they all truly pale in comparison to the Cricut. I have been using a Cricut since they came on the seen. I have had some many different Cricut products. This is such an amazing product. I want to be part of the Cricut Army. I am SPEECHLESS. I know what Santa can bring me! can the blade, rotary cutter and etc be used in my current Cricut Air or do you have to buy an entirely new machine to have these capabilities? Because of the new design that had to be created to have the greater cutting force, the rotary and knife blades only work in the Maker. What a rip off!! They must be related to Apple!! I can see why you think that and I jumped to the same conclusion too until I looked into the product properly. The previous machines don’t use the same amount of force so even if the housings were compatible, they wouldn’t work and you would be disappointed with the results. Cricut have listened to our issues with fabric and wood and found a way to change how the machine operates to give us the flexibility we need. Btw, I don’t work for Cricut, I’ve just done a lot of research and am really excited for the new machine to come out! I have the Bright pad and love it! I have used it for weeding so far! I was talking about all 3 of your new items to people at the local joanns store they are stoked about it! I am just waiting to hit that order button the day the go on sale! Eeek So So Excited! My friends and family are going to be sick of hearing me talk about it! Haha. Come on 20th! It is so hard for me to wait! Gotta have it! Is the Cricut Maker wi-fi? The Air 2 has only been available for a few months here in Australia. When do you think the Maker will be available here? Super excited about this! It will probably be a year before I can get it but I will definitely start saving. I think Cricut is on the path to making something like the GlowForge. Awesome. I originally had the Cricut Expression. Then I got the Explore and I love it! Now, I see the various reveals of the Cricut Maker and I am beyond excited!! I showed your 2 minute video to my husband and he was even impressed. He is not into crafting, but he has seen lots of the things I make and he has come to appreciate my crafting. I really thought he would say I don’t need any more crafting stuff. He wants to get the Cricut Maker for me. I am looking forward to this machine. It will be fun to make unique gifts for family and friends, and hopefully expand my home-based business. I would like to make baby items and quilts, and wedding gifts! To bad you can not trade in your old one to get a percentage off. I just bought my cricut explorer air um 2 years ago. I have only used it a handful of times. Life just got in my crafting way. I love the fact that it has more cutting options. This will be on my wish list for sure!! Looks amazing! When will it be available in the U.K.? I hope you can use the rotary bland with the explore air2? I JUST got the machine back in Feb when they came out (in Pink) and was terribly disappointed that I cannot cut felt. If the blade is not interchangeable than will you create a rotary blade for the air2? I would hope you would think of all the people who have spent a lot of money on your machines already who are just as disappointed. The Maker uses a new framework that makes it possible to deliver 10x the cutting force and the rotary blade (and forthcoming knife blade) can only be used with this machine. Other tools like the deep cut blade, scoring tool, and pens are able to be used by both machines. Will the Maker also be available to buy in the UK on the 20th of August? Now this is a beautiful thing <3 . CRICUT, please answer our questions. When will it be available in the uk? Also will it be for the same price as it tends to change as soon as anything arrives in the uk? When will the Easy Press be released? When will this wonder machine be available in Australia? Will the CricutMaker be able to sync cartridges, or, is everything going digital? Which retailers will have the Cricut Maker on the 20th? Will it be available on amazon.com? What materials besides Cricut Iron On Lite and Cricut Iron On Glitter can the Easy Press be used on? HTV? Iron On Appliques? Iron on Transfer Paper? I am trying to decided on Easy Press or a Heat Press Machine. Any more info on this machine would be appreciated. When the new cricut maker is presented on HSN on October 3rd, will it be a special price and/or a special bundle??? I am wanting one!!! I would love to start and grow my youtube channel reviewing this beauty and the press! ?❣?How much are they? Super excitem but money is tight right now with my daughter being sick. Amazing video!! Can’t wait to be able to get one. The Easy Press will be $149.99 and the Cricut Maker will be 399.99. I wish you luck with your YouTube Channel! As this page mentions, you’ll be able to upload your own quilt designs and you could also import your own shapes. You would need to follow the pattern’s instructions carefully as far as on or off grain, selvages, etc. I just today received the Cricut Explorer Air 2 and just notice the “Maker will be out next week. Wanted to ask if I am understanding this correctly??? Does this mean i can use the new blades..Fine Point, Deep Cut, new Rotary and Knife blades on my Explorer Air 2 as long as i get the adaptor tool???? Hi, Donna. The Adaptable Tool System is a new feature found on the Cricut Maker. The Air 2 does not have enough pressure to use the Rotary and Knife blades. OK, so today is launch day. I work at Michaels and will be in store this morning to help people with Cricut Maker questions and purchases. I have read a lot about it, and feel pretty good about selling this new improved version, but I haven’t noticed any hard evidence that there is scan and cut technology, it just says “Use your own images and fonts for free in a variety of standard file formats.” Could you elaborate, please? Scan and cut is not a feature of this machine. Are you thinking of Print then Cut? You could use a scanner to create an image if you have that capability, then upload it to your Design Space for use with the Maker. If I buy the new cricut maker does the $399.00 price include the new rotary cutting device as well as the better blade tool for cutting wood? Or, do those new tools have to be bought separately? Hi. The rotary tool is included, the knife blade is coming later this year and will be separate. Wil you be offering a trade up value for the explore? It seems like a bad rip off if you have your customers collect machines that they can’t use or offer only $50 for trade up. So diasappointed. Went to purchase on HSN just 2 hours after they went on sale and were sold out! How long will it be before they are restocked??? Would purchase on Cricut if you offered flex pay. Not everyone uses credit cards. I live in an area of frequent Internet disruptions! My question is: can I use the Cricut Maker without being online? You do need to have an Internet connection to use it. If you have a smartphone, you could also possibly use the app to do some work even if the Internet is out. Please can you advise when the Cricut Maker will be available in UK? I am considering buying a Cricut and was looking at the explorer Air 2. I will use it mostly for fabric and leather so I am thinking that I should wait for the Maker. I live in Holland, when will it be available for purchase in Europe? Please let us know when this will be available in U.K. Even a guesstimate will help. Chiming in! Almost bought Explorer Air 2 but seeing the Maker convinced me I should wait and hope for UK/EU release. It would be a dream come true! Could you please tell me if you have a release date for The Cricut Maker for the UK release, Thank you. Can you tell us a release date for the Cricut Maker for UK? Hi, UK release date please, someone? Where can I buy the cricut maker in Australia? I am disappointed in the release of the product. I bought the metallic leather and used the deep blade but it just ruined the material. You really need the knife blade. Why release products without the proper tools to cut it? I bought some of the leather too – very glad I didn’t try using it without the knife blade. I don’t really understand why it should take so long and so far after the initial release date just to perfect this blade. And the leather really gives no indication that you really can’t cut it well without the knife blade! When will the knife blade be available to buy? When will the knife blade be released? It’s nearly March 2018 and still no Knife Blade! Unbelievable the knife blade is not available yet. I purchased the Maker 4 months ago specifically because of its ability to cut thicker materials. The release was delayed twice and now Cricut says available in 2018. How hard is it to make the blade and why release a product when one of the main selling points has not been perfected? Cricut needs to do the right thing to correct their false advertising and we should be getting one knife blade free for this reason alone. Very disappointed. I also bought this product for the ability to cut thicker material. That is my only use for it really. I bought at a store that displayed the tools (pictures) showing the knife blade tool. The box had a picture of the knife blade tool. I got it home and realized the box had a note: ” Sold separately”. I thought ‘Oh well. I’ll order it on-line” I set up the Maker, do some test with the pen, resolution not as good as I expected. I go to purchase the knife blade and (Does not exist). I want to return but no. I opened the box and there is “no defects”. How would I know there was no knife blade available? Store display says there is. Box says to order separately. False advertising!! and poor customer service. Pretty pissed right now! You seriously need to start sending more stock to Australia. There are 2 stockists that I can find of the Maker and they never have any in stock. Obviously it’s in high demand so you’d think you’d be providing a greater number of units to the Australian market!! It’s been out of stock for months now! I desperately want to purchase one of these machines but will end up looking at other brands if they never become available!! Either that or start allowing Australians to purchase direct from your website – it’s not that crazy an idea!!! Is the kife blade avaiable now? Exactly what will maker do that explore air 2 won’t ? ALSO WOULD LOVE AN ANSWER AS TO BUYING THE EASY PRESS VS A HEAT PRESS? i KNOW THERE ARE TWO NEW EASY PRESS OUT FROM CRICUT NOW. TRYING TO MAKE A DECISION.